Vibration plate hire or some people call them vibro plates, can be the perfect form of exercise if you don’t have much time. A full body workout can be achieved on a vibration plate in just 10-15 minutes as the muscles contract much more quickly than our bodies can achieve naturally, thereby significantly speeding up the exercise process. You can do all the usual exercises you would do on say an exercise mat, such as squats, push ups, lunges, bicep curls, tricep curls (with the attached straps provided), sit ups and so on. 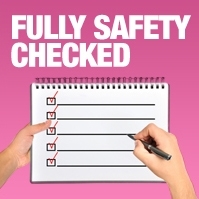 There has been a huge amount of research into the health and fitness benefits that can be drawn from exercising on a vibro plate and the list includes amongst other benefits: weight loss and toning, increases strength and general fitness, maintains muscle tone, reduces cellulite, accelerates lymph drainage and increases circulation, increases metabolic rate and increases bone density. 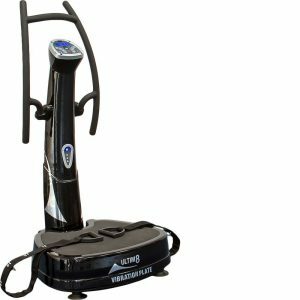 When you hire a vibration plate it will come with a training DVD and a full sized training poster plus attached arm/leg straps and handles for exercises such as bicep and tricep curls. The vibration-plate PRO is slightly smaller than its commercial equivalent, vibration-plate PRO+ and so is more suitable for domestic or office use. If you want to hire a vibration plate the PRO+ has a full sized plate and both models operate on the highest power available on the market today and is our most popular vibration plate to hire. Vibration plate hire is a good idea as they are fantastic pieces of fitness equipment that can increase the efficiency of your usual workouts. You can be exercising for a variety of reasons toning up the body, gaining muscular mass, losing weight, improving cardiovascular health. Oftentimes, there are devices that can help you cater to more than just one need. It depends on how you use them the speed, the resistance and other settings. Certain types of exercise can trigger a higher metabolic rate and it stays that way long after you’ve finished. Vibration plates are among these categories of machines that, when used, trigger such a reaction within the body. Gyms and leisure centres usually have vibration plates, but you can have one at home, too. You can purchase your own and avoid the embarrassment, the wasted time on the road, the membership costs and so on. Or, you can hire vibration plates from us. Clients who are unsure whether they will want to keep these for the long term or not can simply hire vibration plates for a month and see how it goes. 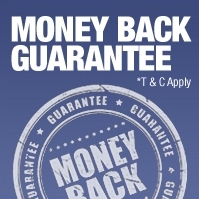 This is the great advantage of hiring fitness equipment, besides the reduced costs. You would not want to purchase equipment and realise you spent hundreds or more on something you don’t feel comfortable with or doesn’t suit your goals. 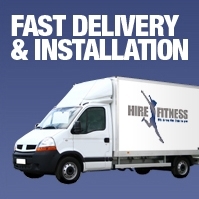 You can hire vibration plates through our company, along with a cross trainer, treadmill, exercise bike or anything else that would help you get in shape and keep you motivated. These will ensure faster results and will keep your metabolism up. Vibration plates qualify as fitness aids. If you browse training magazines, you will notice how they are being featured regularly now. What is the best vibro plate for hire? Vibration plates are very different from a treadmill, an exercise bike, a rower, a cross trainer or any other big gym equipment. It has a more complex way of functioning. The basic feature is the platform’s rapid oscillations which make the body shake. The shaking prompts the muscles to stretch and contract rapidly, in order to maintain body balance; these are involuntary reflexes. When this happens, all your exercises are being intensified. Doctors have observed that these rapid and involuntary muscle contractions have positive effects on the body especially after the session is over. The vibrations, however, represent the secondary part of someone’s training and represent the fitness improvement. One may opt for resistance training or for cardiovascular (weight loss) exercise. In any case, you will spend a lot less time when working with these, which makes vibration plates perfect for busy people who are short of time. Vibration plates and weight loss: how can these devices help you burn more fat? You can cut down more of the total body weight if you use these. Such effects have been recently researched. The weight loss result is a legitimate one. Of course, it depends on how one chooses to exercise on the vibration plates. Nevertheless, these actually boost the overall effect. As the vibrations cause the body to shake, the muscle fibres become challenged. The more the muscles are engaged, the better your metabolism works, which is detrimental to fat tissue. Actresses, actors, models and also athletes around the world have been using vibration plates to stay supple and in good shape. They claim that this technology is really preventing fat build up. 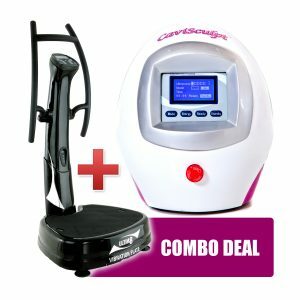 When you hire vibration plates, you will have one unique benefit to enjoy – what these devices require in order to provide results and this one is the most important aspect is that the person using them commits to a workout regime consisting of endurance and strength training, as well as cardio when needed. When a proper diet is included in the equation, the results are even more noticeable. Vibration plates create no miracle by themselves, but huge gains can be seen when paired with the right fitness regime. Some effort is required in order to reach your fitness goal. If you hire a vibration plate from us, we will give you a training poster and training DVD when we deliver the machine to you, so you will know exactly how to use it. You will also receive straps for arms and legs, as well as handles for biceps and triceps curls and many other exercises. Our vibration plates are smaller than those you’d see in a commercial environment because these are made for home use. 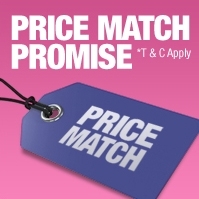 These are ideally suited for domestic or office use. We provide the small PRO and the PRO+ with a full size plate, both operating on the highest power available on the market at this moment. Sessions of 15 minutes on this piece of fitness equipment are usually enough to get important benefits. People with a superior level of fitness can definitely increase the duration. Exercising 3 times a week represents a good frequency. Do not be afraid if you are completely new to exercising this device is for anyone, not for the advanced only. It will help you do a lot more with time and get more fit, as the contractions strengthen pretty much all your muscles and help the release of beneficial hormones. Another important consequence is that the blood gets to reach more cells through the capillaries and thus nourishes more. It is essential to check with your doctor before you start using vibration plates and make sure that this type of exercise would be beneficial to you and not interfere negatively with any medical conditions you may have. Once you get the green light, decide for how long you need the equipment and contact us to hire it. We will deliver and install it at the location of your choice. 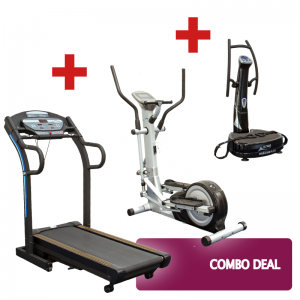 Fabulous money saving deal which includes our gym quality treadmill, cross-trainer and vibration plate so you can have your own mini gym at home. The Standard Home Treadmill, often referred to as a running machine, benefits from a cushioned deck to protect your knees from the impact and it folds flat for storage. The Standard Home Cross Trainer gives you a fantastic all over body workout and the Vibration Plate helps with toning and also massage. A perfect fitness solution for all your friends and family.